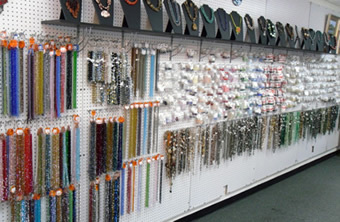 A backroom is available for customer in-store stringing/beading. 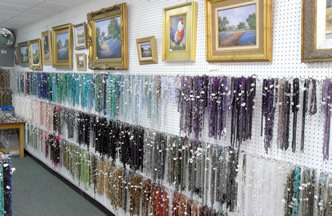 Bead boards and tools are furnished at no charge and the beads are sold by the inch or strand. 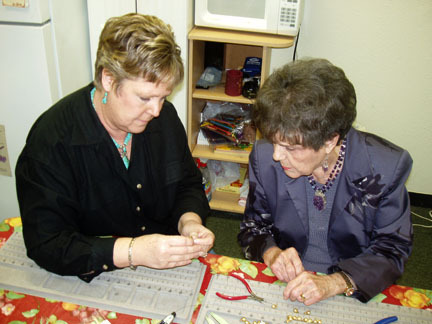 Free assistance is provided for beginners and those needing a little help. 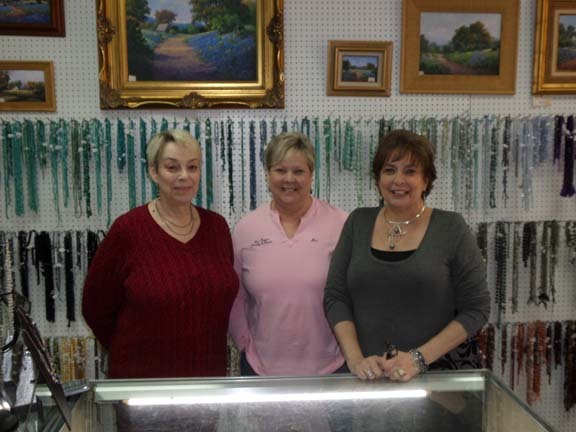 Click here or on the picture for more information on the beading/stringing room. 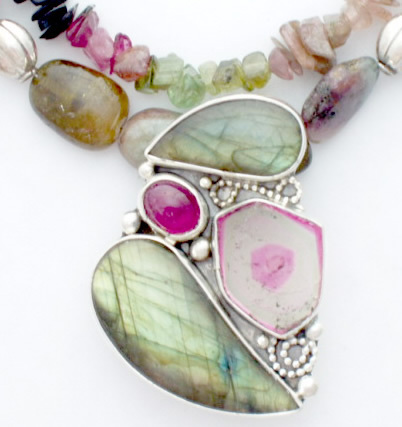 Ann Pearce has over twenty years of experience as a silversmith and jewelry designer. 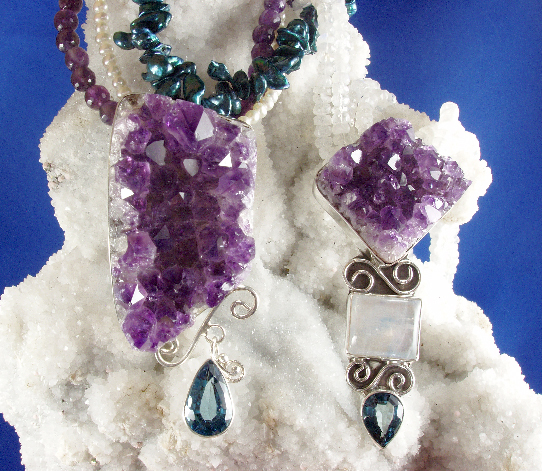 Below are examples of some of her designs. 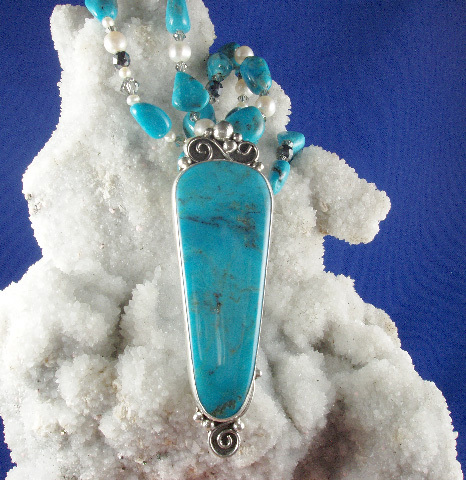 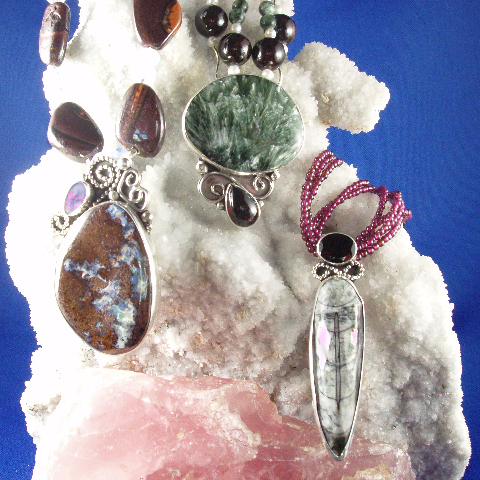 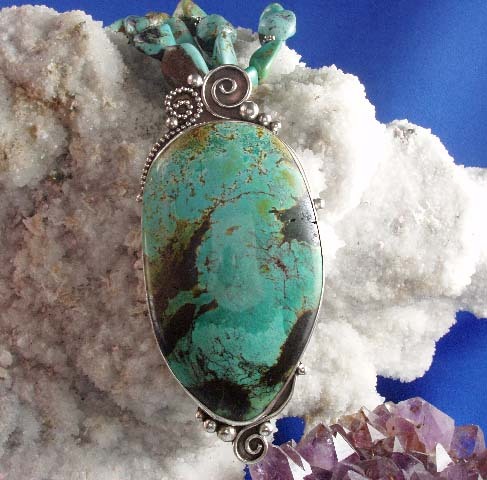 Please view her Jewelry Pages for her current inventory of custom designs. 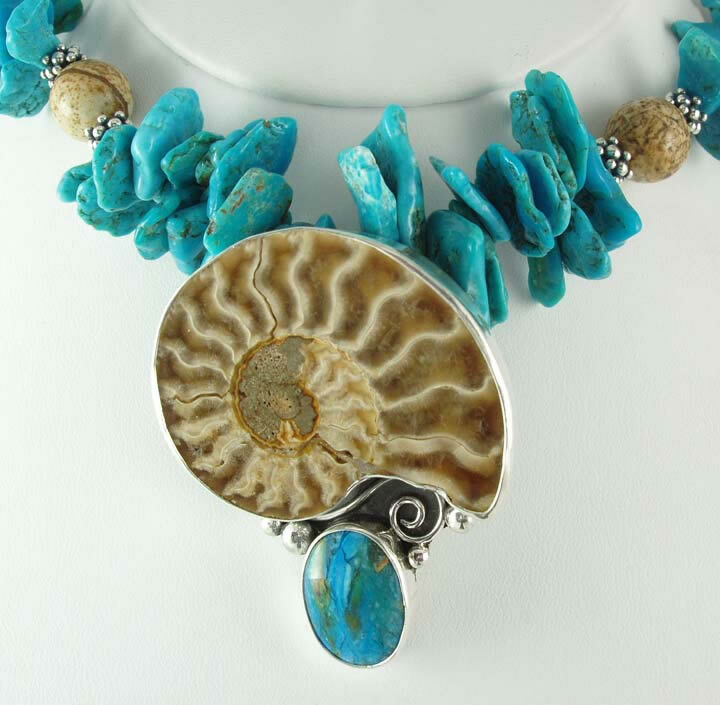 Necklaces are available in a variety of sizes, styles, and beads. 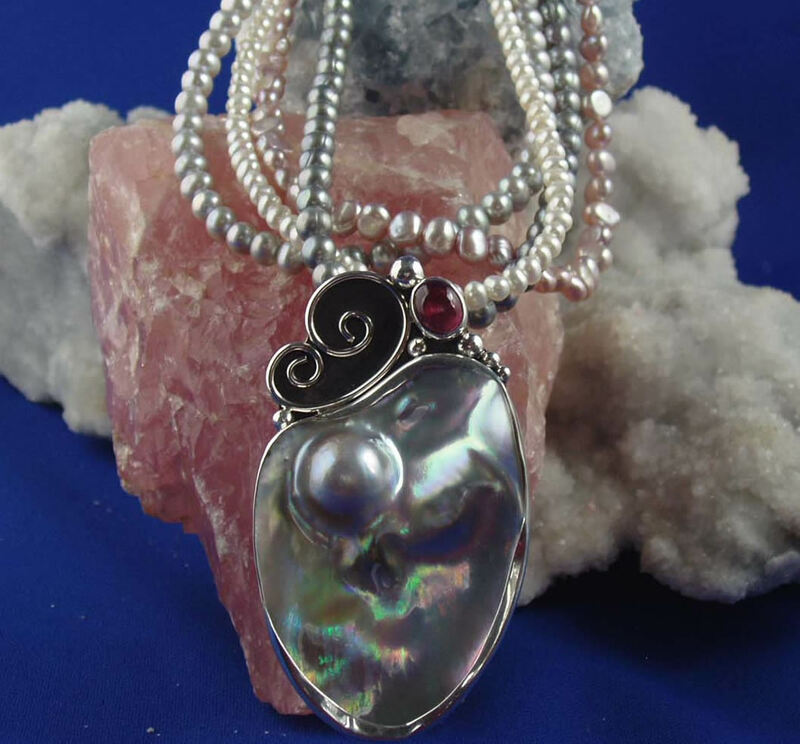 If not listed, necklace prices will be provided when confirmation of the order is made and design of necklace is determined.